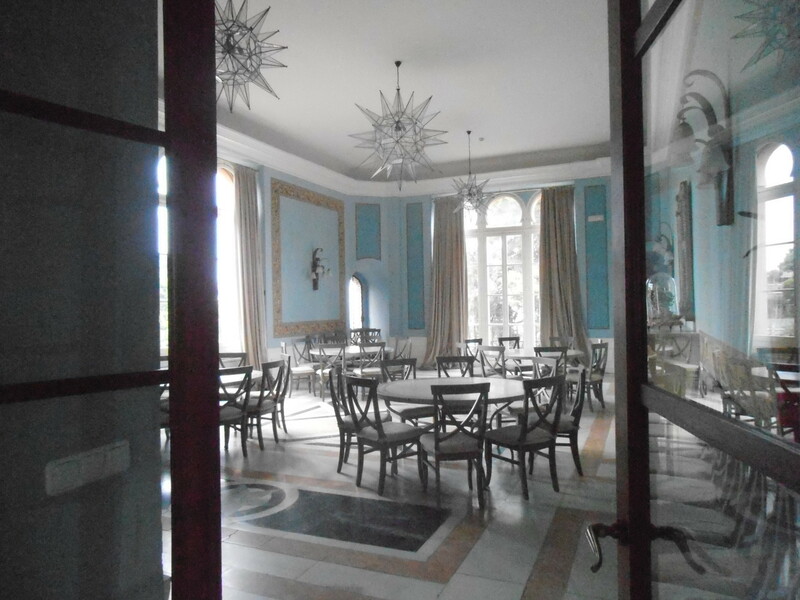 The Hotel Castillo Santa Catalina fulfilled my expectations and more. Obviously high up with great views overlooking the Med, the views, its history, and the fabulous original tiles wowed me (almost) speechless. Having a suite and terrace overlooking the original castle ruins, views of Malaga and the port, I wished our overnight stay could have been longer. On a balmy late September evening, with the calming sound of the waves and floodlit grounds hubby and I made a brief escape from reality. Far from watching for enemy attacks we admired the ruins from 1624 with its five circular arches softly lit and soften by climbing plants and inhaled the clean air well above the city. The hotel itself, a neo-Arab summer mansion built in the early twentieth century, remains a testament to its times. A gorgeous old building with many original features and fabulous floor and wall tiles ( a passion of mine). Will I return? Oh, yes. Now we’ve discovered this hotel our passion for Malaga old town will mean we’ll stay again when on the many airport runs we find ourselves doing. With only eight rooms in total we may even see them all. A pleasant downhill walk to the sea and perhaps 15 minutes to the cathedral and Alcazaba and you’re in the bustle of the city. I love the idea of both – peace and tranquilty at the hotel, free parking, which isn’t the case downtown, yet a short walk and you can be in the center of it all and an even shorter taxi ride back uphill! 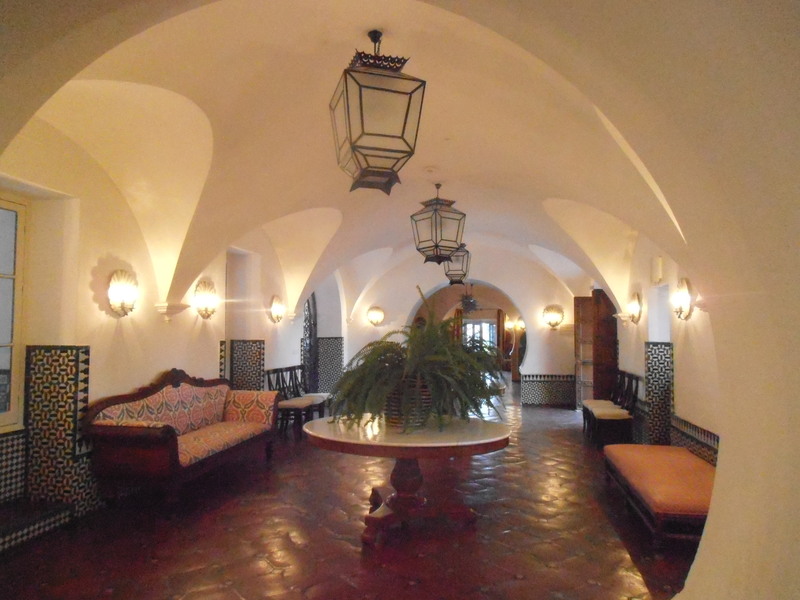 The Santa Catalina is worthy of a visit even if you can only do it visually – Hotel Castillo de Santa Catalina.